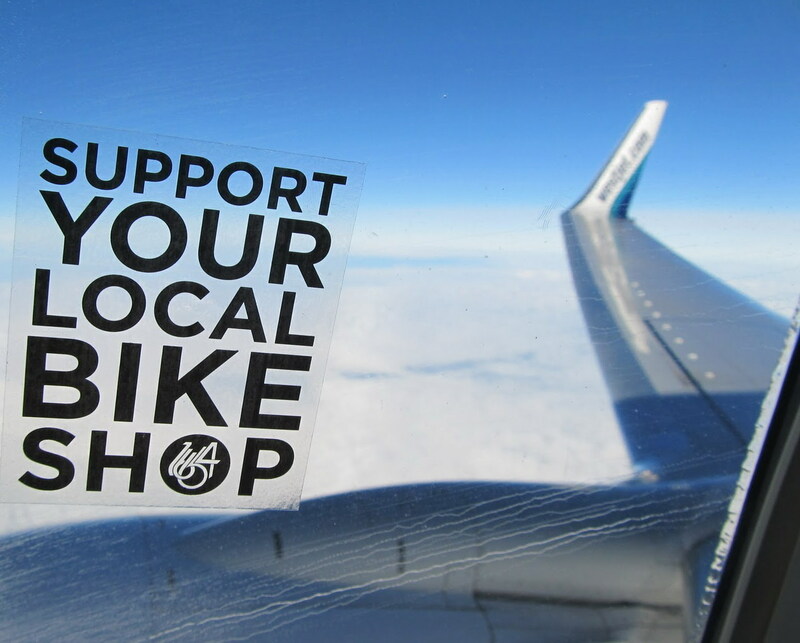 In the States they have a campaign titled ‘Support Your Local Bike Shop’ and there is even a Facebook page for supporters to show off their t-shirts/stickers with the logo plus showcase their rides. Now with the cycling boom and the likes of Cycle Surgery and Evans Cycles located in almost every postcode in the centre of London and the City where I work (soon it’ll be like Starbucks), why go local with the big stores massive purchasing power under cutting prices. Even the likes of internet giants Wiggle and Chain Reaction drop prices to where your Local Bike Shop (LBS) just cannot compete so is it a no-brainer? Well, as much as I love a bargain and the gloss of the big stores (though some of the staff may as well be selling digital camera’s whilst paying of their University loan) our LBS where CJ got his first ride at aged three is where we continue to support, even though the bikes sold (childrens bikes, bmx’s, commuter machinery and lower end race/mountain bikes etc) are not suitable for our needs at present. Where they do hold the upper hand for us though is fast turnaround on repairs, parts and advice. I know for sure if CJ has a mechanical problem on a Saturday whilst training, Evans are not going to have his steed ready by Sunday morning for a race as you need to book it in and get in the queue. Now most things I can do myself via my degree from the University of You Tube, but messing with abused headsets and truing wheels on a cyclo cross bike is something I’d rather pass on. 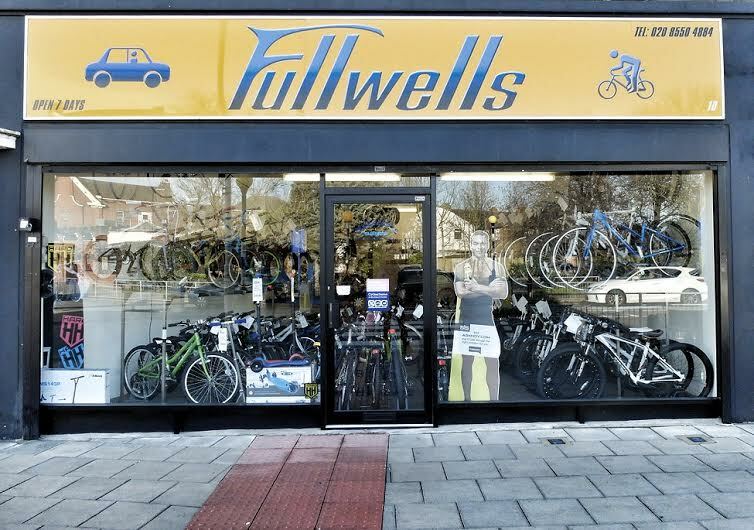 Many times now our local high street bike store Fullwells Cycles have come to our rescue knowing CJ needs bailing out at speed and even keeping the shop open slightly after hours so we can collect after work (try that request at Cycle Surgery). Also, once at a Lee Valley Youth Cycling Club training session a fresh and eager kid had problems selecting his gears on a shiny new Focus steed and a quick look showed his chain was twisted. So twenty minutes into the session it was over as far as everyone was concerned until I stated to go to our LBS just a five minute drive away to see what they could do. Thirty minutes later he was back with his pops and ready for the second half of the session. Okay, so no cutting edge carbon wheelsets, no 300 thread per inch folding tyres, no saving a few grams on a water bottle holder and better still no bull____. Sadly too many of cycling’s new money lycra crowd and trendy urban fixie bikers turn their nose up to the LBS that going there is not even a consideration or a topic of conversation. Our LBS has plenty of expertise as they have probably repaired more abused bikes that have lived out in the garden and will also do extra tweaking on CJ’s bike (as they spot it) at no extra cost. Plus passing on a 10% discount to support a young racer so for those reason and others, I’ll continue to hand my money over to our Local Bike Shop. 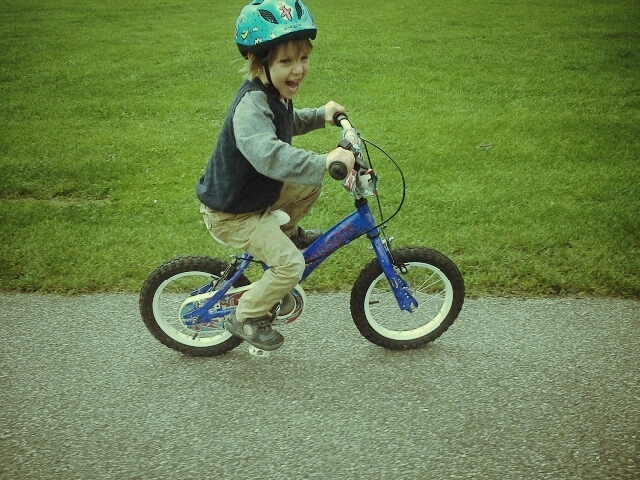 Picture of CJ’s first bike still in action being ridden by his godfathers son, Oliver St John-Clarke.